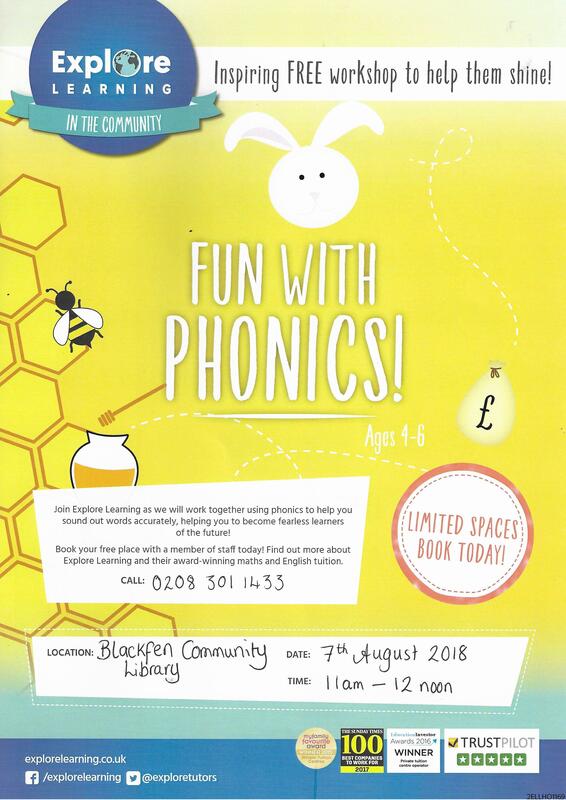 Thanks to Explore Learning, we’ll be hosting two free workshops at the library on 7th August 2018 – contact the library or pop in to book your place! Use phonics to help you sound out words accurately, helping you to become fearless learners of the future! 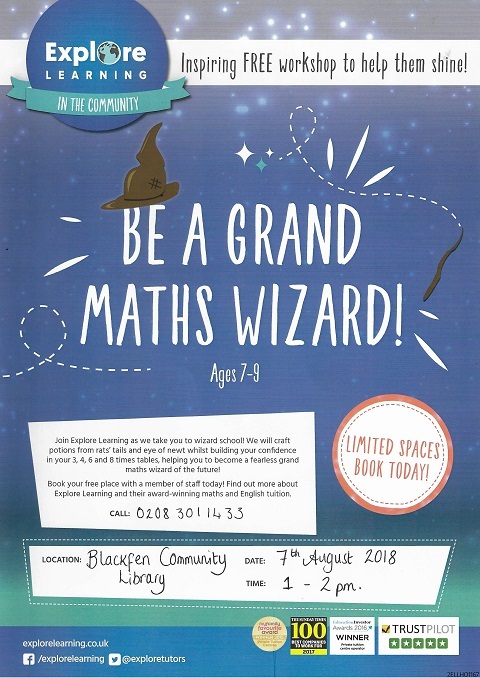 Come to wizard school, and we will craft potions from rats’ tails and eye of newt whilst building your confidence in your 3, 4, 6 and 8 times tables, helping you become a fearless maths grand wizard of the future! Summer Reading Challenge 2018 – Mischief Makers!